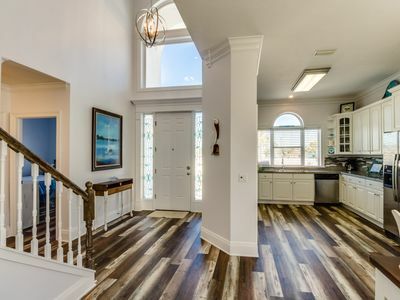 Exquisite 1st-Floor Beachfront. Step from Deck to Sand! Low Density Complex. No tunnel-vision views of an overcrowded beach here. 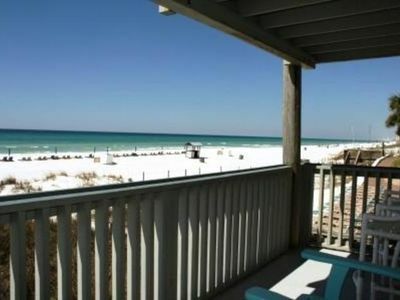 Our condo features a 30-foot-wide deck right on the Gulf. Floor-to-ceiling windows separate the deck from an equally expansive living area. 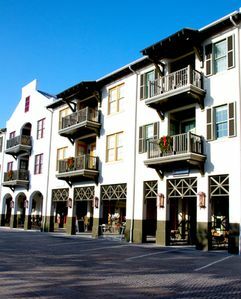 Moreover, the two-story complex has only 20 units total. There's plenty of room on the beach. So, relax and enjoy the scenery, whether you are inside or outside. 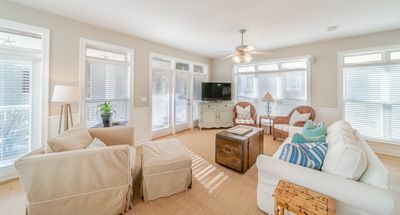 We are west of all the high-rises, so no crowds, but still close to all the action: Only 2.3 miles from Pier Park, and a dangerously close quarter mile from Thomas's Donuts. No hauling luggage and groceries down long corridors and into crowded elevators. 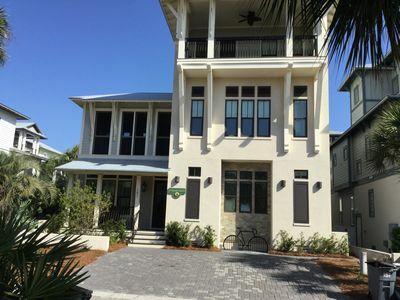 At Bonita Beach, you park right next to the front door. 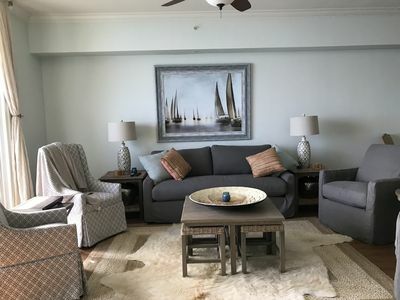 If that is not enough, no other unit at Bonita Beach Condos is located closer to the pool than this one. The gate entering the pool is just steps away from our front door! If you like to cook, you will appreciate our fully stocked kitchen with beautiful granite countertops and stainless steel appliances. 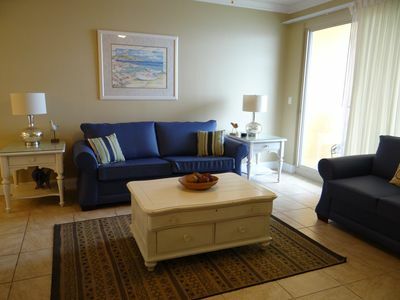 Dine at the breakfast bar or the dining room table while you gaze at the turquoise water and bright white sand. 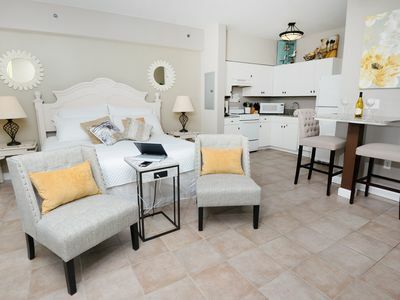 Our large kitchen and living area will accommodate all your family and friends. Here are the specs for our unit: 3 bedrooms, 3 full baths. 1,650 square feet. 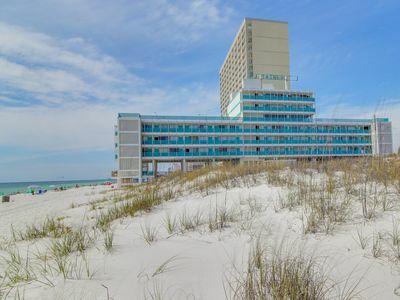 This unit is very wide, with approximately 40 feet of the unit facing the Gulf of Mexico. 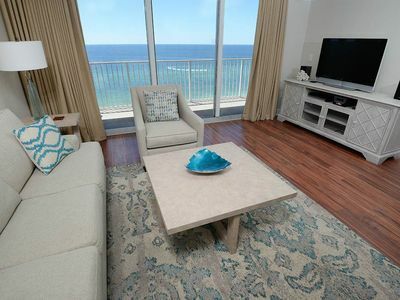 The Living Room and Dining area have floor-to-ceiling windows that maximize the amazing ocean and beach views. 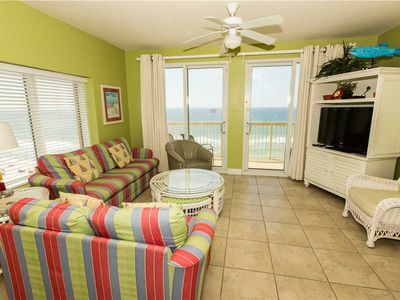 The Master Suite also fronts the beach with awesome views. 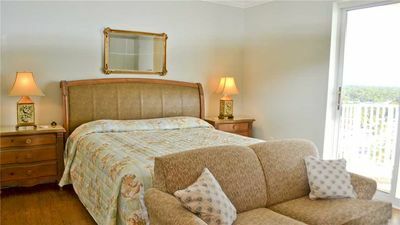 All three bedrooms have private attached bathrooms. 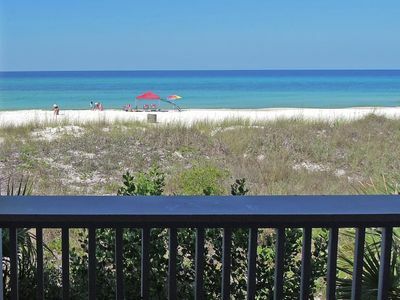 Snowbirds and summer vacationers alike love Bonita Beach Condos. 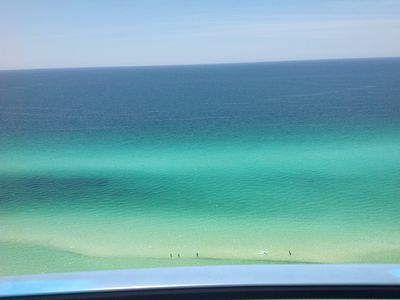 We would love to host you whenever you want to visit the beautiful Emerald Coast! 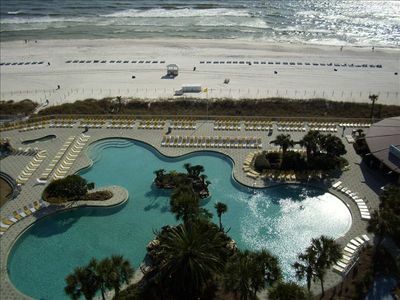 Tidewater 1009 - Don’t miss your spring vacation. Book now! 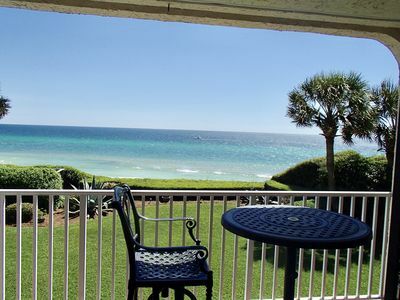 Beachfront studio with beautiful Gulf views & so much more! 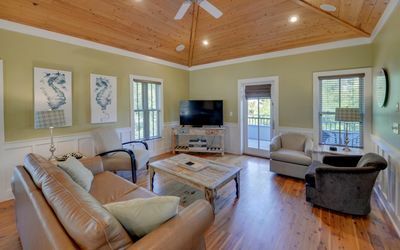 Snowbird rates! 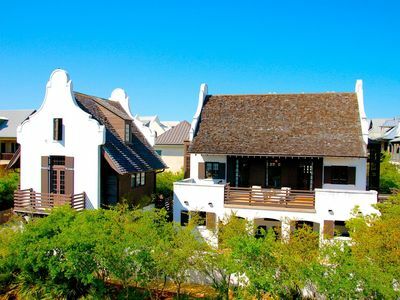 Rosemary Loft, 30A Cottages, Reduced Spring Rates, On Barrett Sq, 3 min walk to beach, 4 Bikes! 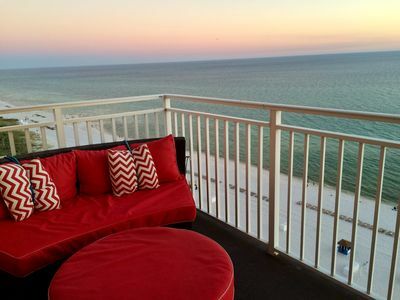 Oceanfront Penthouse-Legendary Sunset Views -SPRING DISCOUNT-Free Bch Chairs! IT'S TIME TO BOOK FOR SPRING & SUMMER! 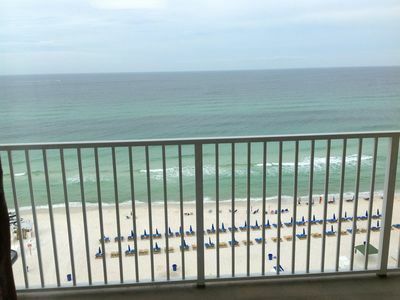 GULF FRONT & PERFECT FOR 2! 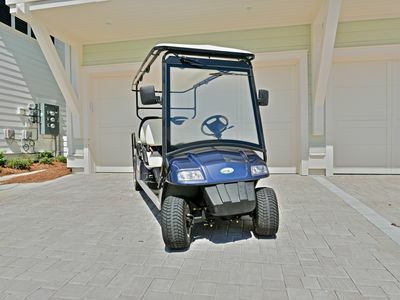 "Beach Blessed" at Prominence - 6 Seater Golf Cart With Rental!